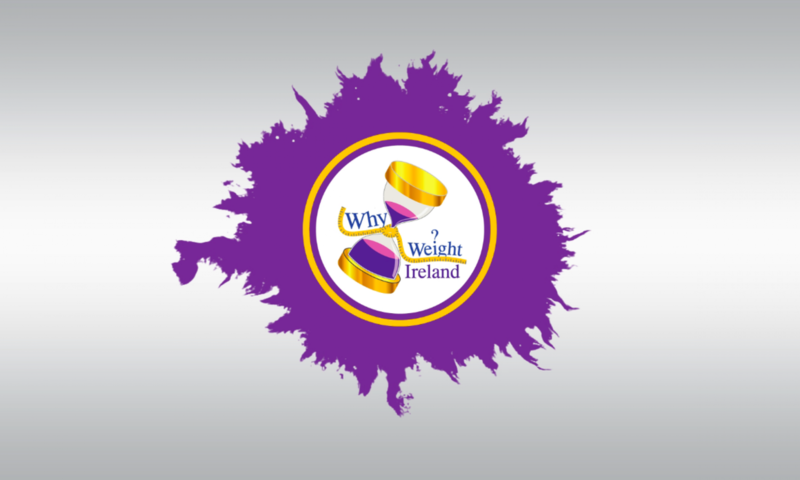 What is Why Weight Ireland®? Why Weight Ireland® is a unique and award winning weight loss and fitness business. Until 2018 we offered members access to Ireland’s only fully comprehensive online food & exercise diary, online personal fitness workouts, personal & tailored fitness plans and full email support 7 days a week, all at a lower cost that any of our competitors. Why Weight Ireland also runs a fitness & weight loss studio in Tinahely, Co. Wicklow. In 2018 Why Weight Ireland decided to alter its business model and ended offering access to its Online Food Diary and will be updating its business model throughout 2018. Are you on Facebook, Twitter etc.? Where is the Why Weight Ireland® Studio? Can I get trained personally by Hannah in running, fitness or even for private weightloss? Before Hannah lost almost 8 stone in weight she never exercised and since losing her weight she took up running and has gone on to become a County Champion runner. Hannah runs at all distances including full marathons – 26.2 Miles. Her goal is to get a marathon time of Sub 3 hours. Due to work schedules Hannah can only have a very limited number of personal clients. She does accept clients for any needs, be-it running, fitness, strength training, weight loss, confidence building etc. For all enquires regarding personal training with Hannah Nolan please contact her directly by email Hannah@d1459786-92704.blacknighthosting.com. I am shy. Do you offer private classes? Yes. We offer both group classes as well as private personal training sessions. We respect your feelings in every thing we do both online and in the studio so please feel comfortable knowing that anything you say or do will be treated with the upmost privacy and confidentiality. With Hannah Nolan herself losing almost 8 stone in weight, we understand the feelings and emotions that losing weight and getting fit entails. Yes. If you are already using Why Weight Ireland online you are entitled to free private weigh-ins and consultations. Contact info@d1459786-92704.blacknighthosting.com with times and days you are free for a weigh-in and we will try our best to suit your schedule. We do offer private weigh-ins and 15 minute consultation to non-members also. The cost of this is only €5 – again, contact info@d1459786-92704.blacknighthosting.com if you would like to book an appointment. How much does it cost for a class at the studio? Our prices vary for members & non-members. If you are already a member of Why Weight Ireland Online you are entitled to discounted classes, free personal weigh-ins & consultations. What is a food intolerance test & how much does it cost? Why Weight Ireland is an approved supplier for Lorisian Healthcare Laboratory Testing Services. Please contact info@d1459786-92704.blacknighthosting.com for appointments. The term ‘food intolerance’ and ‘food allergy’ are often confused and are two very different things. Please click here to read more about the differences between food intolerance and food allergy. Can I purchase a fitness plan without becoming a full member? All our personal fitness plans are created personally based on customers individual answers. Due to the high demand for Hannah’s services we request that you give plenty of notice. Please contact support@whyweightireland.ie for any enquiries. Prices will vary depending on the complexity of the request. What is the Total Body Tone DVD? Why Weight Ireland’s Total Body Tone DVD is on sale directly from the website by clicking the sub-menu under Prices & Signup tab. The cost of the DVD is €20 and this price includes delivery & VAT, so a fantastic offer. The DVD contains 3 main workouts, as well as a full warmup and cool down section. Will you create a food plan for me? The reason that Why Weight Ireland works is because you don’t have to follow a set plan. You get to eat your own food. Following a set food plan is just not sustainable. If you require an example of what a typical food diary would look like and see how much food you can actually eat, then as a member, please drop us an email and we can send you a 7 day food plan example. People are shocked to see that they can actually eat A LOT of food when making the right choices. Can I work for Why Weight Ireland®? Why Weight Ireland® are always looking for passionate people who are looking to work in the health & fitness area. If you are looking to work in either sales or fitness than please get in contact and email your CV to info@d1459786-92704.blacknighthosting.com. If you are a gym or fitness centre, we are always looking for new centres to work with us and offer our diary and services to their members. Offering Ireland’s only fully comprehensive online food & exercise diary will only enhance your members weight loss & fitness journeys. Can I contact Hannah Nolan directly for corporate or media work? Hannah is regularly mentioned in the media for her health & fitness knowledge, is an Ambassador for Athletics Ireland and a columnist for the Irish Runner Magazine. Hannah also writes regularly for various newspapers and magazines as well as been part of several radio programmes promoting health, fitness and business. Hannah works regularly with leading businesses across Ireland offering motivational speaking, nutritional and fitness guidance and consultancy. At Why Weight Ireland® we are inundated with requests to join fad diets like Juice +, Forever Living, Body by Vi Challenge, Clean 9 Detox and many others. All of the above go completely against what Why Weight Ireland® is all about and under no circumstances will Why Weight Ireland® or their staff be in anyway associated with any of the above mentioned names. Please refrain from sending in requests for us to join any of the above mentioned businesses as they will not be answered.